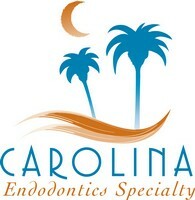 Welcome to Carolina Endodontics! You are here because your general dentist noticed that you need a more, specialized work done onto your tooth or teeth. You will be coming in for a root canal! Now, we know that the words 'root canal' can make some people uneasy. However, we are here to ensure that your procedure will be as quick and painless as can be! We look forward to meeting you, getting to know you and how we can better your oral health. Here at Carolina Endodontics, we are a big believer in practicing preventative dentistry. 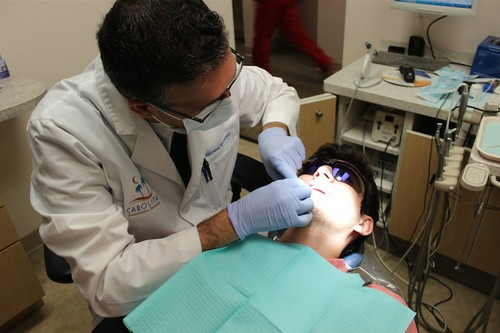 We want to educate our patients so that in the future they can prevent a root canal from ever being needed! After you have ventured into our website, you will notice that there is a button, right under our logo titled, 'Patient Login'. There, you can login to your patient account and fill out the necessary forms. If you are a new patient, please call our office at (803) 802-3681, and we will give you your login information. Dr. Karimipour believes strongly that the patient is the number one priority. We want you to feel welcomed and for you to trust us with your teeth! We promise to take great care of you and to listen to your needs and concerns. Please let us know of any questions, comments or concerns that you may have about anythnig at all. If you click on the 'About Us' tab, there you can navigate who we are, what we do, and how we do it. If you have any specific questions about root canals, or are unsure of what a root canal consists of, you can click on the 'Endodontics' tab. There it will explain all of the aforementioned questions. If you still are unsure of what will be happening during treatment, or if you have any questions at all, please do not hesitate to call our office or to fill out the comment form under 'Contact Us'. This is a great place. The doctor is very good and gentle. The whole office is very professional. I had a great experience. I am a dental professional and due to the complicated condition of my tooth I needed the expert care of Carolina Endodontics. I was nervous but that didn't last long. The office staff made me feel very comfortable. 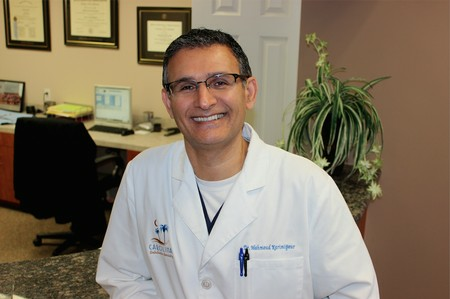 Dr. Karimipour and his assistant were informative, explaining every step resulting in a very pleasant experience. Now I know first hand why our office recommends Carolina Endodontics. Dr. K is one of the most professional, caring doctors I have been to. He told me exactly what the procedure for my root canal would involve and guaranteed me that it would be pain free - which it was. His staff is courteous and professional as well.I would definitely recommend this doctor.